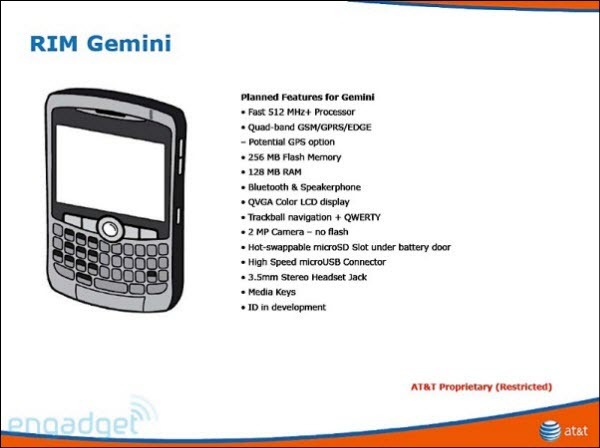 Magnum, Onyx, Pearl 3G and Gemini Headed To ATT? 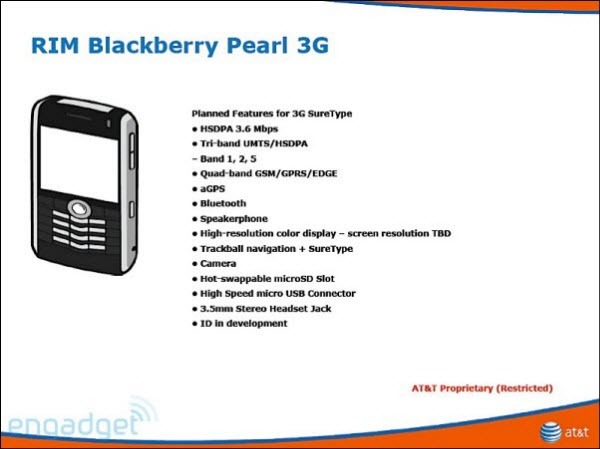 Let some of the speculation come to an end, the slew of new devices we have been seeing (and going hands on with) now has some carriers behind them and AT&T customers you should be pleased with the following images. While timeframes/release dates are still unknown at this point, it does give great insight as to what to expect in the coming months and from who. 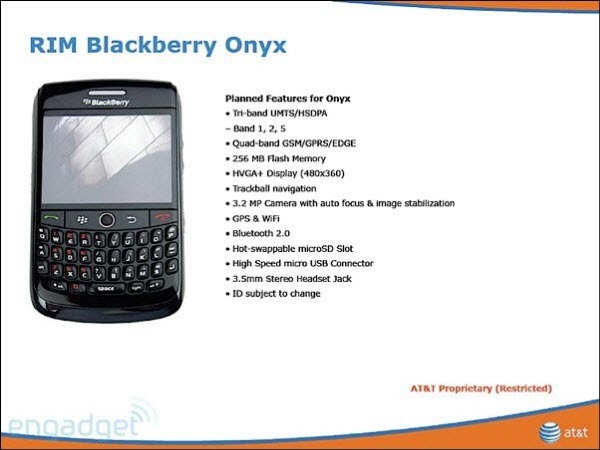 Magnum, Onyx, Pearl 3G and Gemini are all slated for release on AT&T according to the images which also include some specifications while device images except for the Onyx which we know is not 100% correct are not present in the slides, if I was an AT&T customer I'd sure be excited just by the fact they are showing up at all, and the fact a new 3G Pearl which has been rumored for a while is once again showing up is big news for anyone who was not interested in the 82XX series devices. This is not to say other carriers will not be picking up the devices as well, we all know how some devices get exclusive carrier deals for a while but this is the first time we have seen any carrier names associated with said devices. 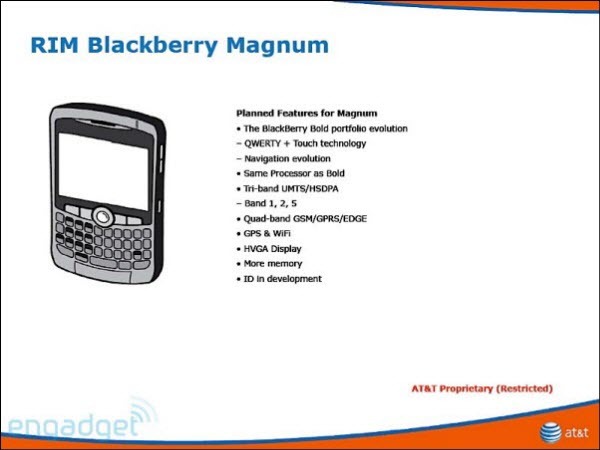 Read on to get a look at the full specification sheets direct from AT&T courtesy of Engadget Mobile.